Go Ahead. Laugh. I Dare You. Isn’t there a saying that laughter is the best medicine? In a very unscientific way, I declare it the truth. Sometimes we take ourselves entirely too seriously. 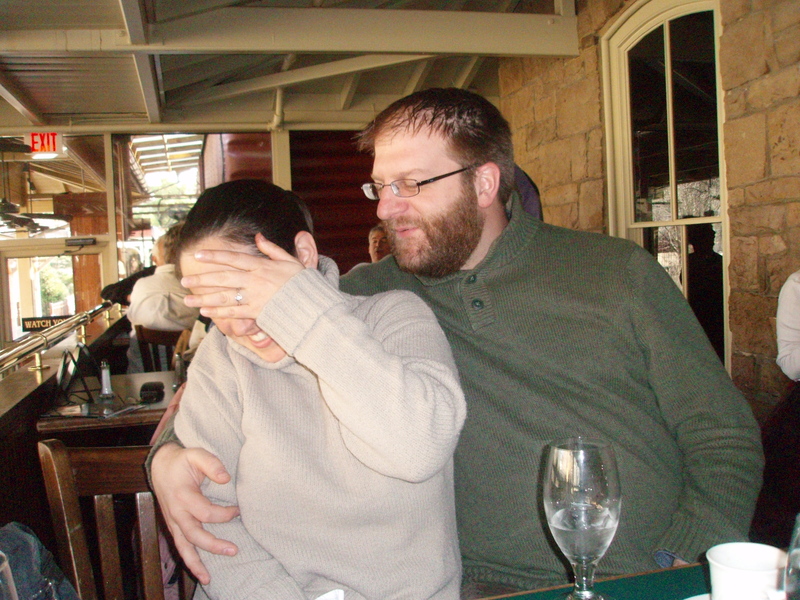 My husband and I laugh often. We can already laugh about the wedding. Like how long it took us to plan the drinks list. We carefully named some drinks after friends in the wedding party. We discovered – after the wedding – that we’d misspelled the last name of the Chief Wonderful Woman (laughing, but still sorry!) We can laugh at the venue’s bad jokes about putting the “boys” in the bank vault before the wedding. We can laugh that the venue put a waitress in charge of me when the ceremony started. She actually said to me, “I’m in charge of making sure you actually walk down the aisle and don’t run away.” Earlier, we laughed about how our first date was on April Fool’s Day three and a half years ago. We are even allowed to giggle at the seriousness of this union. Why not? Why not laugh at what is expected of us and what we decide to actually do? Someone recently told me that when she first moved in with her husband, she couldn’t stand how messy he was. He left his dirty socks all over the apartment. After endless conversations and some fights, she decided to laugh about it. She took out her camera and photographed all the funny places the socks ended up – from the bathroom to the kitchen counter. She and her husband had a hearty laugh about it and then compromised about how to keep their home. We take ourselves so damn seriously, from the courtship to the wedding vows. I think we all know, deep down, that we are in love when we find someone who can make us laugh. In our vows, my husband and I named things that the other represents for us. It turns out I am his scotch and he is my zucchini flower. We smiled when we said it and some of the guests laughed with surprise. In all humor there is some seriousness. Scotch is my husband’s favorite drink and he takes it seriously. I have never turned down a fried zucchini flower, either made by distant relatives in Italy or my mother in New Jersey. We meant what we said. A writer friend asked me recently why I haven’t written a blog post about what it means to be married. What it feels like on the other side. I think I don’t entirely know yet. We are happy to be married, relieved to no longer be wedding planning and generally just enjoying ourselves. Hush Bra Store Reading Challenge: CONGRATS TO LAUREN TURNER! Update: Lauren Turner’s funny bra-inspired poem won her the book. (Read it below.) Congratulations! I look forward to seeing you in Brighton, MI on Thursday, April 30th for my Hush bra store poetry reading. For more details, please click here. In the spirit of literature and bras, I will be offering a copy of Ilana Stranger-Ross’ wonderful novel Sima’s Undergarments for Women to the reader who posts the funniest bra-related joke in the comments section below. Readers are welcome to chime in and vote for their favorite. You are encouraged to post more than one joke. The deadline has been extended to Friday, May 1st at noon. Visit the author’s website . You can read more about the book on Overlook Publisher’s website and buy the book on Amazon. A source of life that fills with awe. We get it—now, put on a bra!